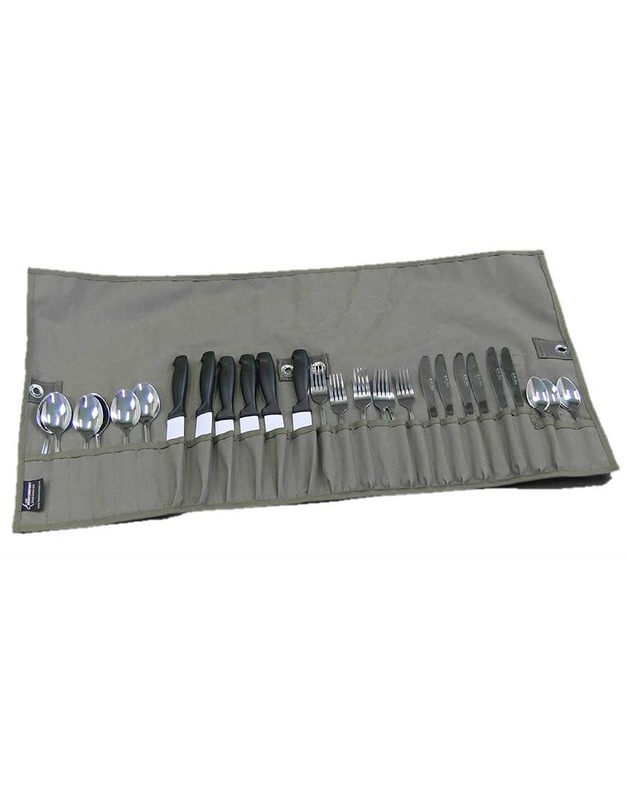 This Bush Cook Cutlery Roll is typical of the high quality and practical camping products that The Bush Company is renowned for. 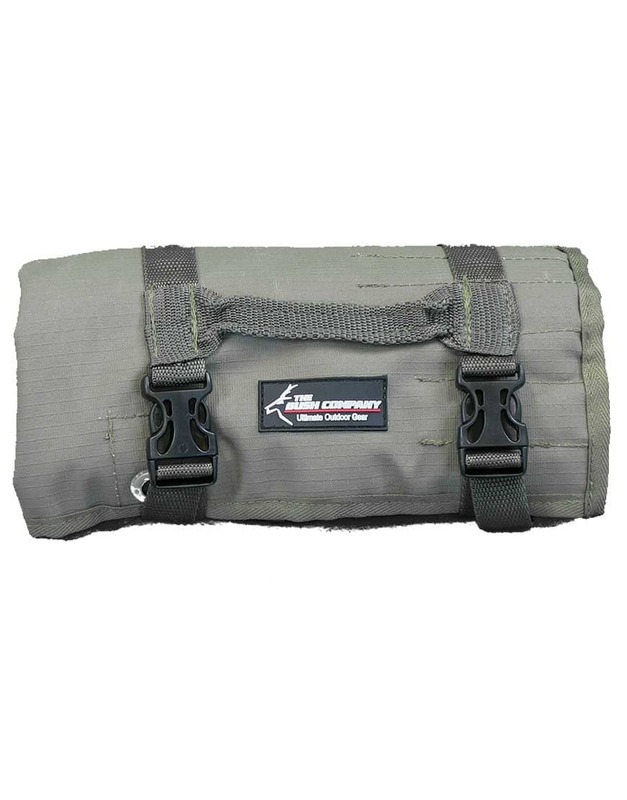 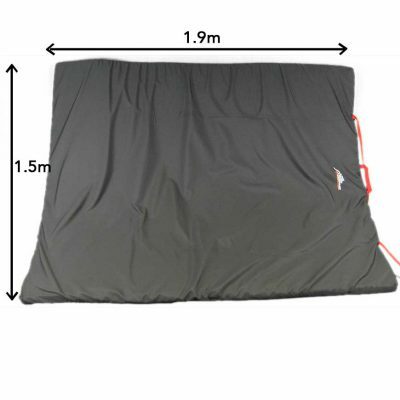 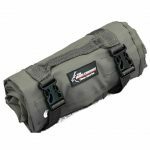 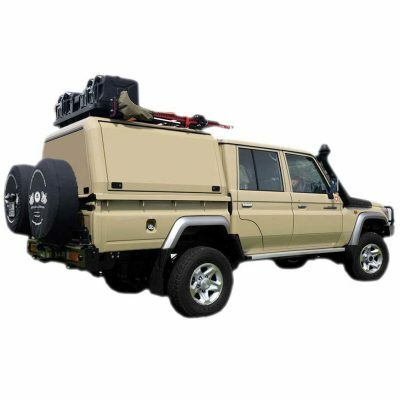 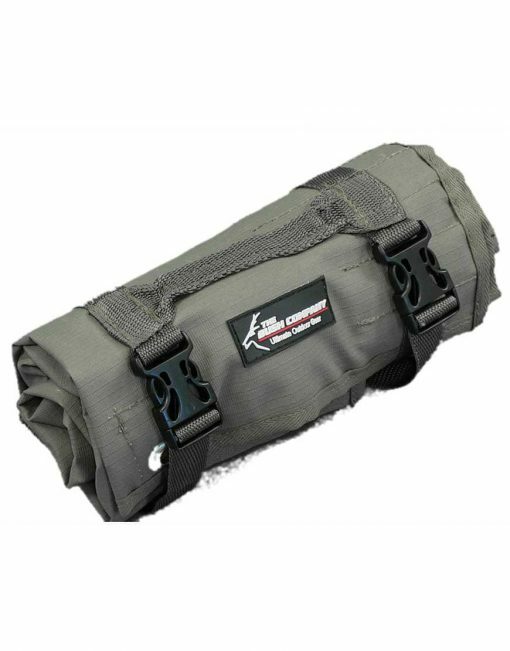 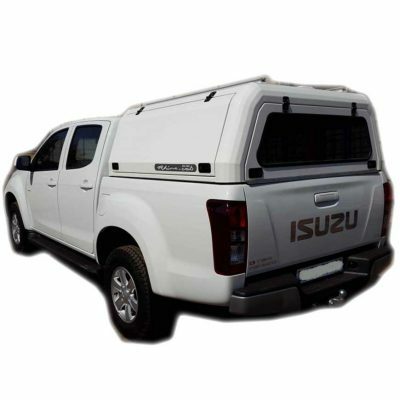 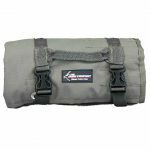 The roll is made from heavy duty ripstop canvas and has two plastic clips with webbing loops and carry handle. 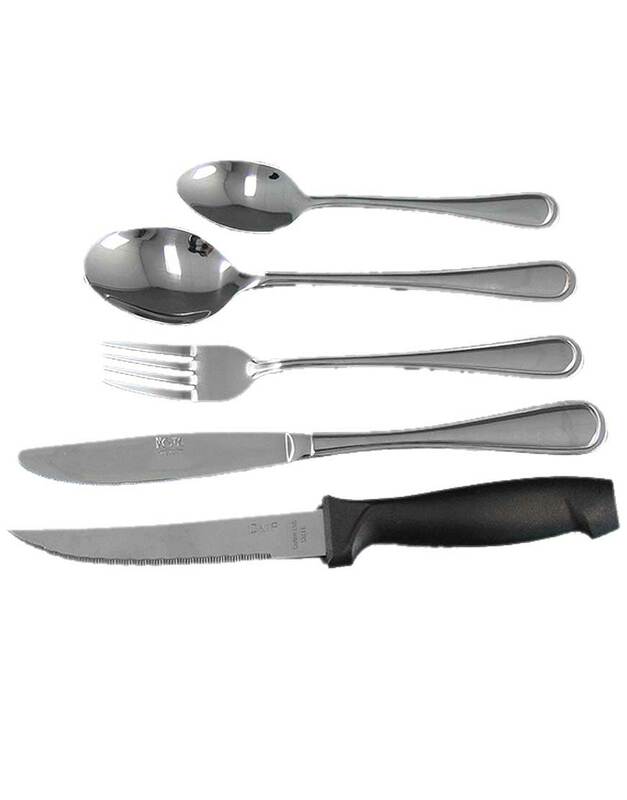 The cutlery is all made in South Africa from high quality stainless steel that won’t degrade or rust. 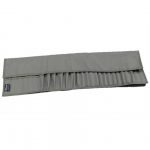 The cutlery roll has dedicated pockets to keep the cutlery secure and a large flap that folds down over the cutlery to prevent it from sliding out. 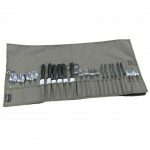 The roll includes cutlery for 6 people and comes with a standard knife, a fork, a dessert spoon, spoon and a strong steak knife. 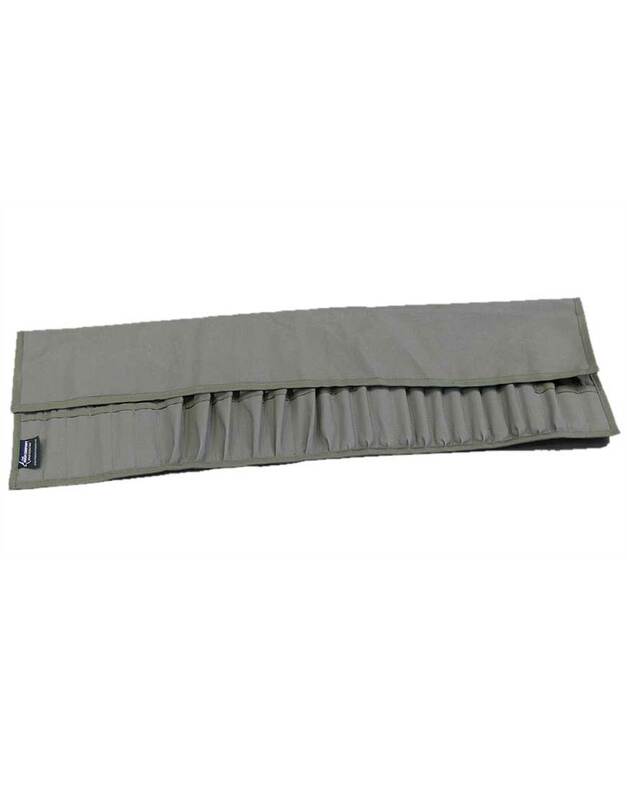 The Bush Cook Cutlery Roll has dedicated pockets to keep the cutlery secure and a large flap that folds down over the cutlery to prevent it from sliding out. 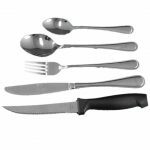 The roll includes cutlery for 6 people and comes with a standard knife, a fork, a dessert spoon, spoon and a strong steak knife.